We spent a near 2 weeks of road trip, travelling Malaysia. Our journey began with a 4 hours non-stop drive to Kuala Lumpur. Drive was smooth while the children cooperated by playing, sitting and sleeping throughout in awesome peace and quiet. I prepared fried rice from home to settle lunch in the car. Saved time with easy food. The daughter had a gymnastic competition in KL, and that was the reason that sparked our road trip. While she was being parked with her friends and coach for a few days without parental involvement, the man and I brought the boys out for some play. 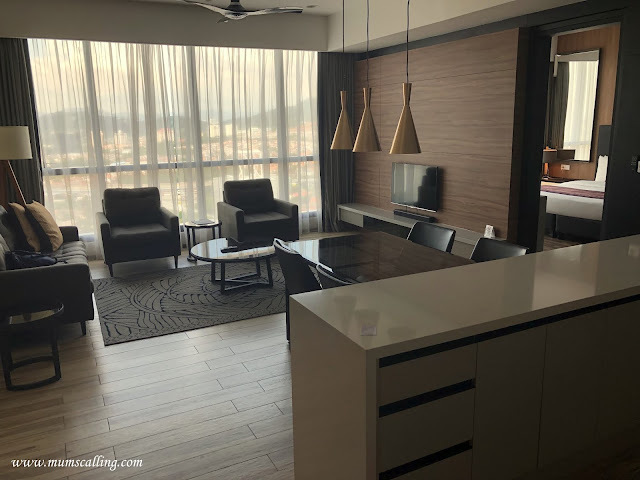 We booked a 2 bedroom premier at Somerset Damansara Uptown Petaling Jaya, by the Ascott group. Service apartment that has full set of facilities like a hotel, with even a kids' playroom. It may not be extremely strategic if you plan to frequent areas near the heart of KL. It takes about a 20 minute drive to reach KLCC. We had our car parked in the hotel and travel around with Grab car. The location is surrounded by many good eats. 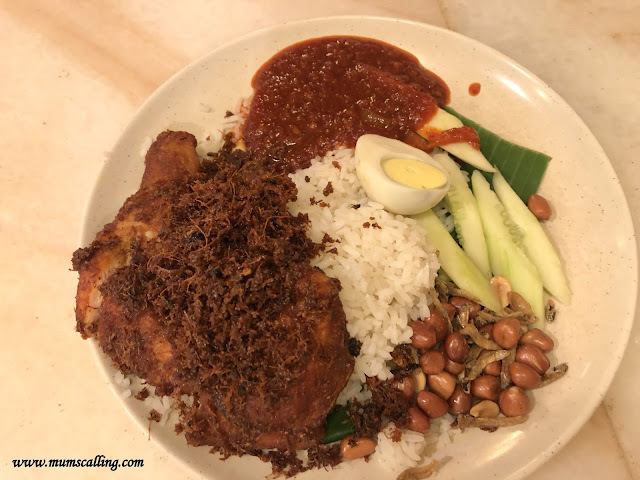 KL's famous Village Park Nasi Lemak is just diagonally opposite the hotel. And it really is good! Black Hokkien Mee and chicken wings directly opposite the hotel, Restoran Tiong are worth the calories too. An eco-lifestyle mall opened in November 2016. Our apartment is linked to the Starling shopping mall. If you ever visit, you do have to check out this bookstore on level 3, BookXcess. It carries books much cheaper than our local tores. We had a big haul of books from there! Do bring your own bags, as they do not provide plastic/paper bags. You may purchase a bag I think. Many good eats in the mall too. 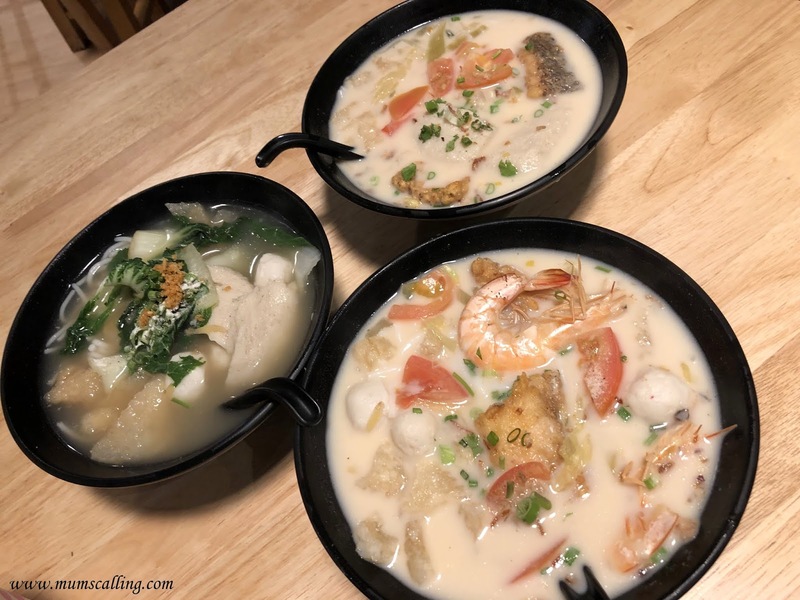 We stepped into an eatery that serves fish soup noodles without much expectation, but to fill hungry tummies. It turned out to be so yummilicious, not because we were overly hungry, but it was really rich and tasty. 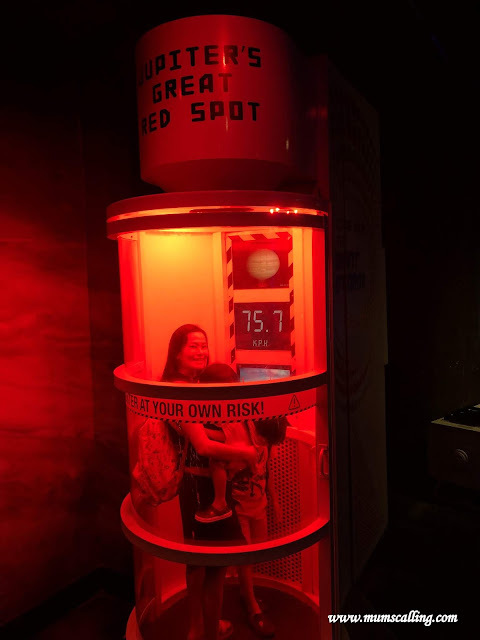 Located right at a corner of the mall's basement, it definitely is worth a try. Located in the concourse level of the Kuala Lumpur Convention Centre, this aquarium is home to over 150 species of marine life. 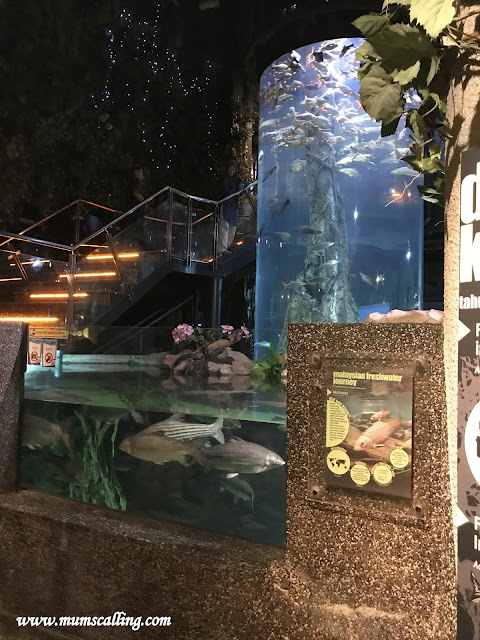 Laid over 2 levels, to take visitors through different watery landscapes, from the highlands and flooded jungles of Malaysia, to the Amazon basin, coral reefs and the open ocean. Some species were first time view to our eyes. Interestingly cute and unique. 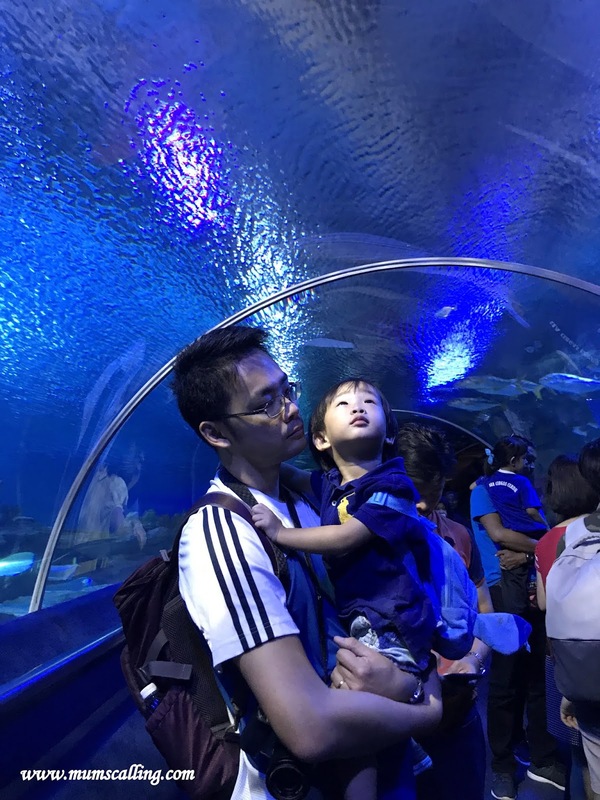 The place did remind me largely of the underwater world we had at Sentosa, when we travelled through a 90m walk-through tunnel with a moving travelator. 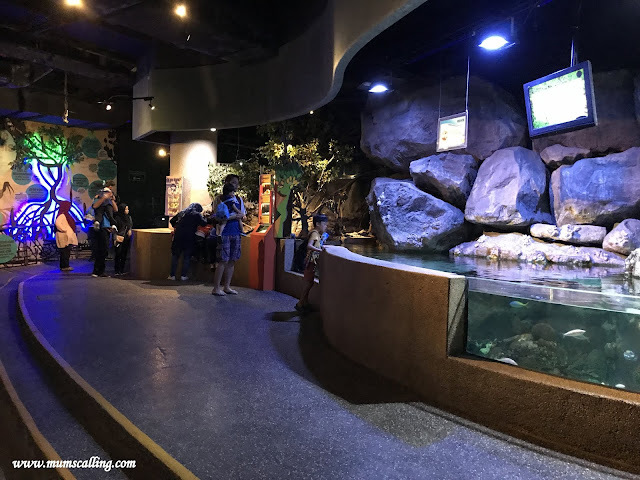 Surrounded by sand tiger, sharks, huge stingrays and more. Lucky enough for us to get some greeting waves from feeding divers. Apart from the marine, there was a section parted for the land, Jewels of the Jungle. It is home to a variety of reptiles, amphibians, tarantula and many others. 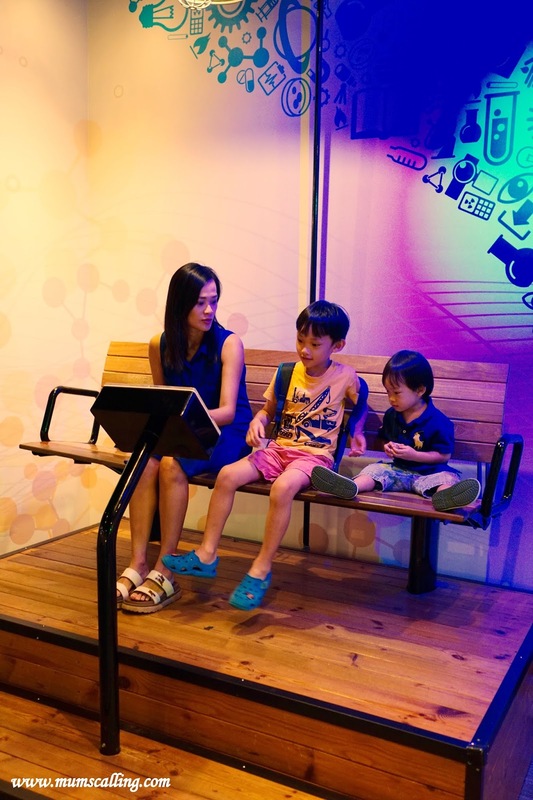 Check out too, exhibits showcasing the life cycle of frogs and butterflies. I find these sections extremely informative, with great educational exposure. Seeing is learning and believing. 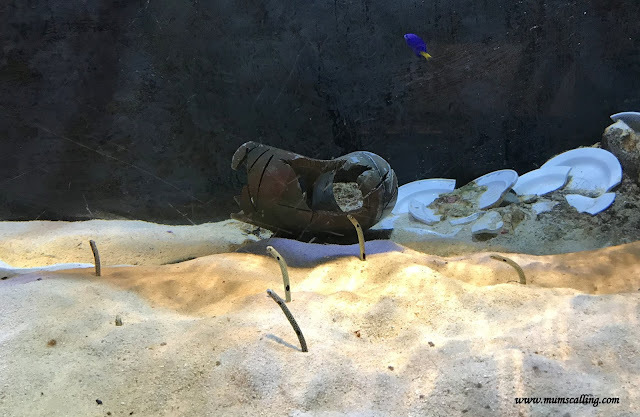 This Aquaria seems of be of similar scale to our SEA aquarium in Sentosa. If we had done aquarium in the recent months in Singapore, we would have skipped this. The boys were very keen to do the aquarium so we went. And it was really exciting that we caught some feeding sessions and touched some baby sharks just before exiting the Aquaria. We spent a near 2 hours in there before we headed off to lunch. 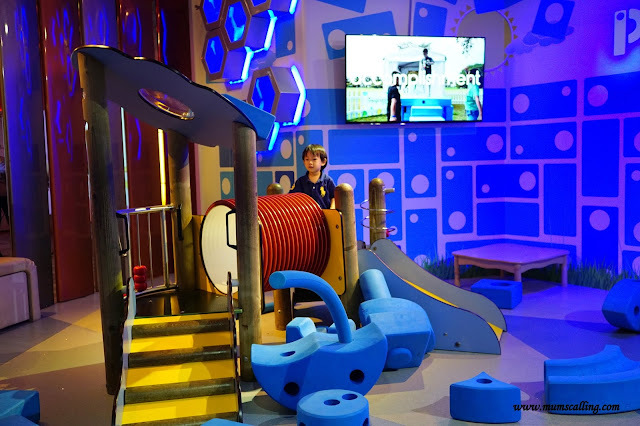 Just a 10 minutes walk from the Aquaria, we headed to Petrosains Discovery Centre after lunch. 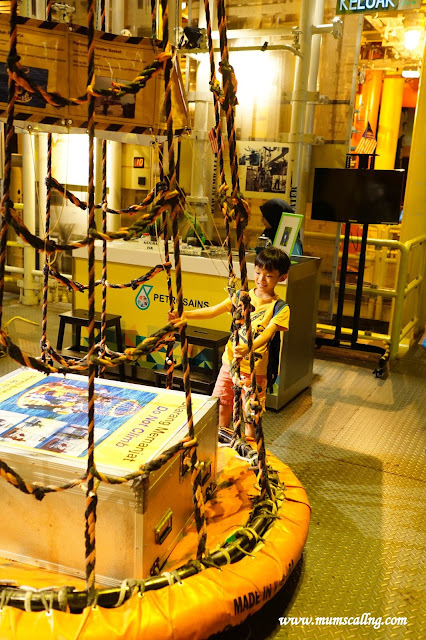 Housed in the Twin Towers, occupying level 4 and 5, this Science discovery centre is educational and highly interactive for both children and yes, adults too! Almost everything in there is for any curious child to discover and touch. The exhibits are very inviting and welcome hands on approach to stimulate interest in general science and technology, as well as the energy industry. Juboy who is barely 3 enjoyed his time in there too! We excitedly began our journey with a ride on their iconic dark ride. Shaped like an oil drop, the ride brought us through a dark and tranquil 'rain forests', 'mountains' and 'underwater' sceneries. Dark days do not last. 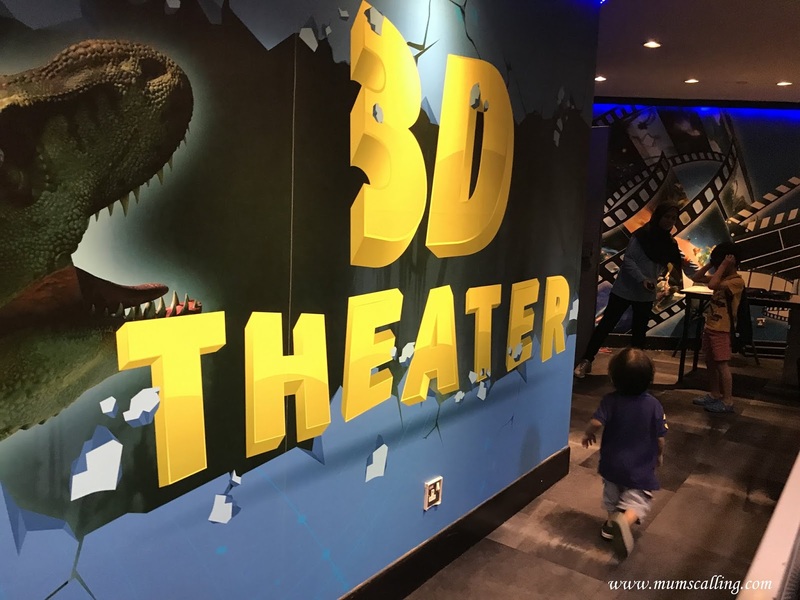 We landed into the land of exhibits on space, Geotime Diorama, Oil platform, speed, Molecule Nano World and 3D theatre. There were a massive amount of exhibits for discovery. One will not get bored in there. Find out about the latest space science and technology. 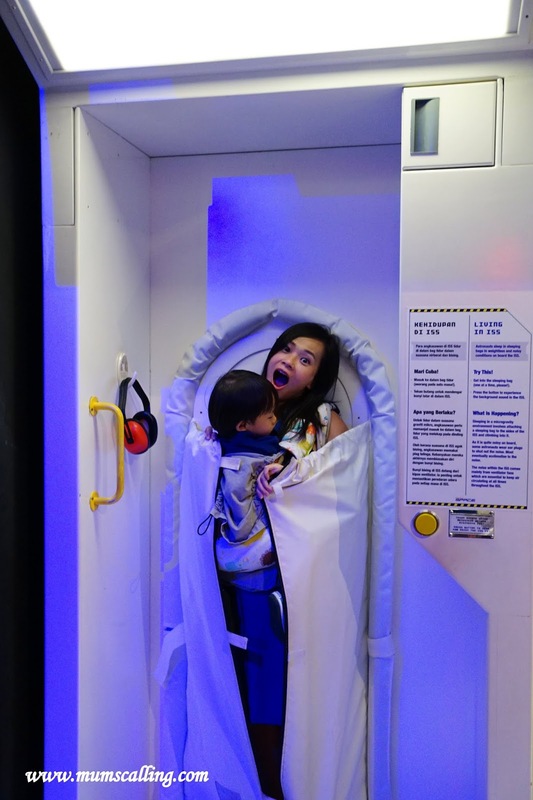 How astronauts live and work in space through videos and exhibits. We even stepped into 'Jupiter' for a simulation of hurricane. Took us more than 200 million years back to the time of dinosaurs and other creatures of ancient world. We explored the history of our planet Earth as recorded in rocks. It definitely exited the boys most, being surrounded by almost real looking dinosaurs. The place where my boys spent quite some time on, with the diggers and grain pit. They had so much fun scooping and digging. Science shows were conducted in here too, but language used was Malay. Didn't understand of course, we went around for play. And the there is a small little area for toddlers nearby too! Everything here is built to scale, an actual offshore platform with real tools. It is really huge! Have a go with the escape chute ad pretend you are exiting a platform on fire. 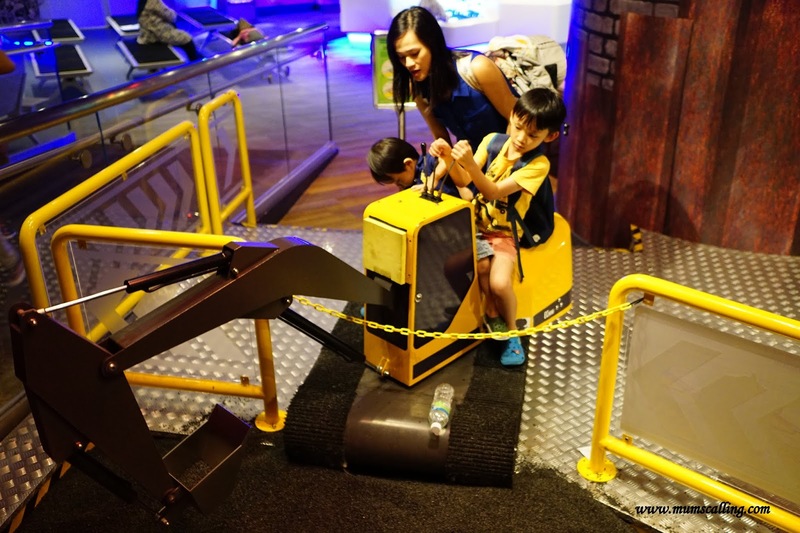 Experience too, their simulator ride that can take you on a thrilling virtual journey. 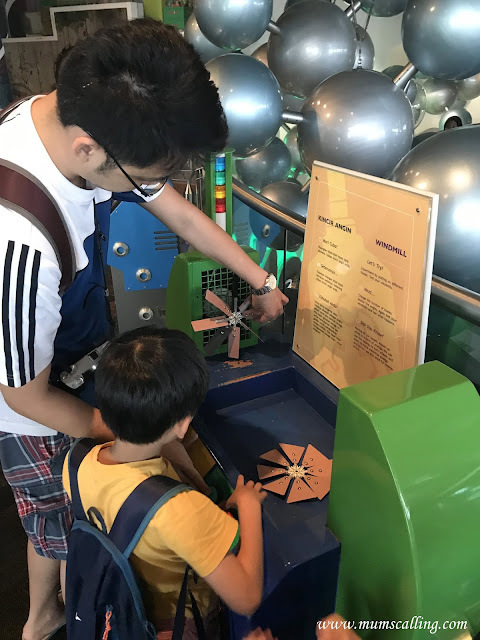 There were the learning of force and pulleys, which introduces physics in a fun way. Learn all about speed in here! Built for the ardent Formula 1 fan. 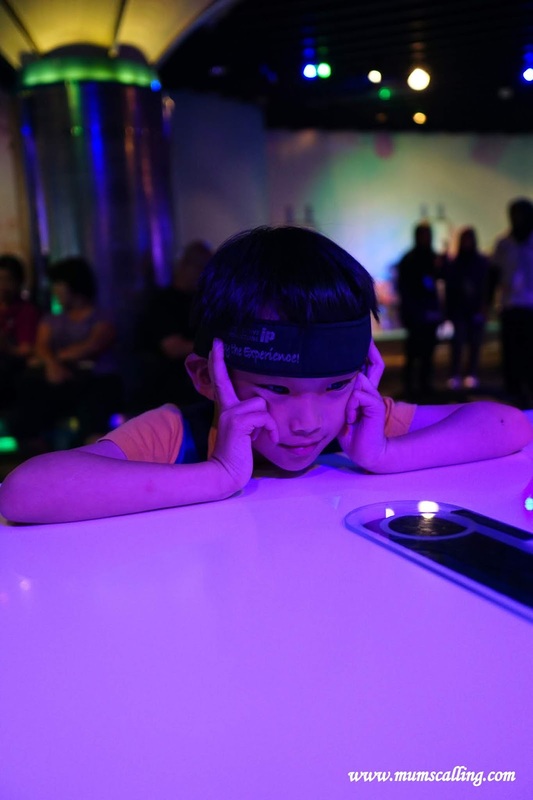 Test your reaction time and try this crazy mind ball exhibit where you push a small rubber ball towards your opponent using nothing but using the most relaxed mind. Not as easy as you think! Take a new level to the top of their stairway to explore the world of chemistry. By this level, we were very much overloaded with new knowledge and getting a little weary at this final lap of discovery. We brisked through it. We watched a short film of dinosaurs on a prehistoric land in The Lost World. I somehow think the video quality could be better for a more comfortable watch. And this was where I unknowingly drifted into a short nap. Oops! That ended our near 4 hours play in there. We exited the exhibits back to the entrance with the same dark ride, through a different visual presentation though. I highly recommend this place for school going kids. So much fun that the older son is asking to go back again. And the entrance fees are not at all high. Considering the scale fun. Kids below 3 enter free. 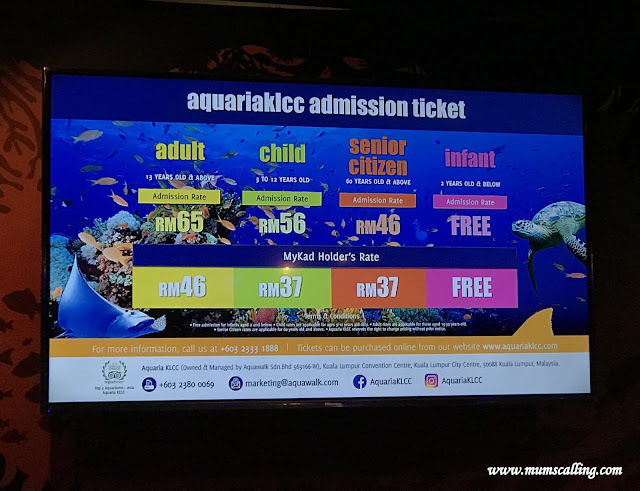 3 to 12 years old fee at RM16.50 (approx $5.50) and adults 13 to 60 years old at RM28 ($9.30). Senior citizen rate applies, do bring identification if your elder parents are coming along for play! 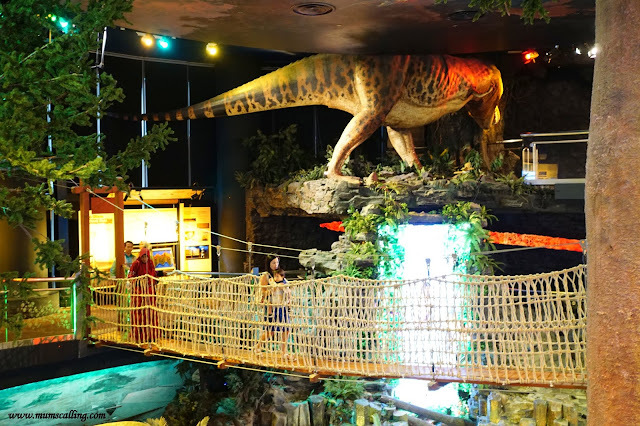 Petrosains closes much earlier than the Aquria, so you may want to visit the other way round if you are running out of time. There are additional activities and workshops within these venues that require additional fees. We had lunch just around the entrance of Petrosains Discovery Centre, little penang kafe is good to its last mouth. And prices, oh so good just talking about its setting and quality. Madam Kwan's a few shops away, a good alternative too. 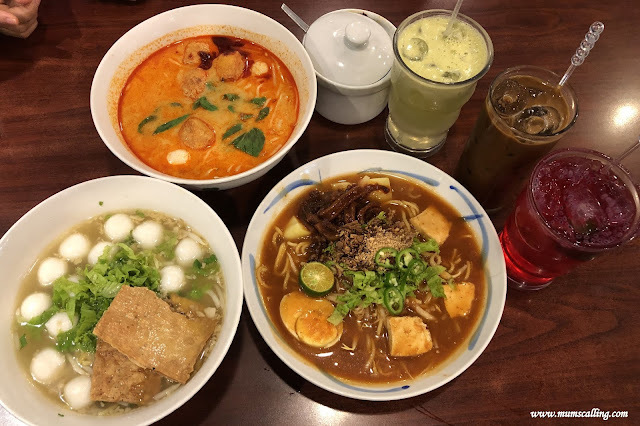 It is amazing how we can find good restaurant food in the mall of KL. Not the mediocre food we had expected usually, but gastronomically satisfying. Do anticipate long lines at these dining options during lunch hours. When in doubt, just follow the lines for good food.